Shop online for over 4,100 model railroad figures at discounts up to 55%. 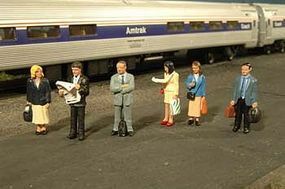 HO Scale is the most popular of the 7 model railroad figures categories, then N Scale, and 1/25 Scale. Preiser Kg is ranked #1 out of 39 model railroad figures manufacturers, followed by Woodland Scenics, and Noch GMBH & Co.. This is the 1/25 Scale Model Railroad Figures of Dachshunds by Preiser Kg. This is the G Scale Model Railroad Figures of an Eve Customizing Set by Preiser Kg. 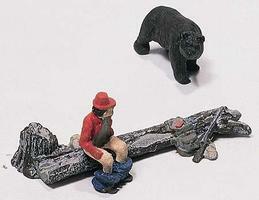 These Scenic Accents Campers are N Scale Figures from Woodland Scenics.